— a summary of The Scientific Historical Heritage in the Physics Museum of the University of Naples by Edvige Schettino, Director of the Physics Museum and Professor of Physics at the Federico II University of Naples. The Physics Museum of the Frederick II University of Naples came into existence officially in 1983 by combining the inventories of various sites in Naples into one location, the main university buildings at via Mezzocannone 8. The museum has a 700-piece collection of historical scientific instruments. Many of them were acquired from the 18th century through the early years of the 20th century from instrument makers in England, France, Germany and Italy. The museum focuses on the role of such instruments in the creation of empirical scientific knowledge, a consequence of the rebirth of scientific thought, which, following Newton, saw knowledge as gained through observation. The story of the instruments, however, is also linked to the craftsmen who built them. Many of the instruments were luxury items, even works of art, especially during the sixteenth and seventeenth centuries, when collecting was something of a fashion. They were to become more functional in the eighteenth century with the beginnings of a didactic approach to experimental physics. The nucleus of the collection is from the Gabinetto Fisico [Physics Room], founded by Royal Decree in 1811 and annexed to the existing Chair in Experimental Physics. The French ruled Naples under Joachim Murat from 1806-15. It was a period of scientific expansion for the kingdom of Naples, a period that saw the opening of the Botanical Gardens as well as the Mineralogy and Zoology departments of the university, both of which now have their respective museums as part of the same complex on via Mezzocannone.. The Gabinetto Fisico started small; it had prisms, mirrors, kaleidoscopes, projection devices, and lenses contained in a few rooms. 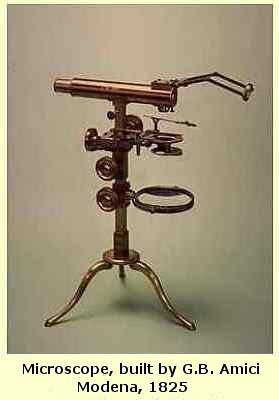 In the early 1800s, entire collections of instruments belonging to Neapolitan scientists of the previous century were added. For the seventh Congress of Scientists, held in Naples in 1845, the Gabinetto Fisico acquired further rooms to house new items added from the collection at the Royal Palace. A number of instruments were then added from the collection of Macedonio Melloni, the first director of the geological observatory on Mt. Vesuvius. In the 1880s, under the direction of Gilberto Govi, the Gabinetto Fisico acquired new equipment, especially high-precision instruments, and Govi dedicated himself to transforming the institution into a modern research laboratory. The wealth and importance of the collection of the Physics Museum is due above all to the fact that the Gabinetto Fisico inherited, with the unity of Italy and with the end of the Bourbon monarchy in 1860, instruments that were in the Royal Palace in Naples as well as at the Bourbon military academy, Nunziatella. There are, for example, two rare telescope objective lenses from the Royal Collection, one made by Evangelista Torricelli in 1645, and the other by Domenico Selva at the beginning of the eighteenth century. The museum also enjoys the benefits of the Farnese Collection. Elizabeth Farnese was the Queen Consort of Spain and mother of Charles III, the first Bourbon king of Naples. Upon his arrival in 1734, a vast treasure of art, archaeological pieces, scientific instruments and manuscripts, all inherited from his mother's estate in the Duchy of Parma, arrived in Naples. So besides these scientific instruments in the physics museum, you can see much of the art and archaeological items in the magnificent Farnese Collection at the Art Museum of Capodimonte and at the National Museum.